At Mariano & CO., LLC, we will give you a quality product, on or below budget. We are proud of what we do and we welcome the opportunity to assist you with your future home improvement projects. We specialize in providing a personalized building experience with the aim of creating beautiful homes that exceed your expectations. We are a family owned and operated company with many years of experience. We are passionate about the design and construction of high quality homes and would love the opportunity to assist you with your custom home or renovation. Having helped our clients build or remodel their dream homes for many years, we understand that this process can be complicated and stressful. That is why we have developed a system to make your new construction or remodeling project run smoothly and be an exciting and enjoyable experience. To accomplish this goal, we assemble a team specifically chosen for your project made up of a dedicated project manager, architects, interior designers, and engineers. Each of these professionals is committed to working together to deliver the home of your dreams! Everyone knows that communication is key in any relationship, and this is especially true for custom building projects. That is why we give the homeowner and each team member 24/7 online access to our cloud based “Project Management” portal, designed to keep everyone informed throughout the construction process. If you are looking for an exceptional building experience with a team of dedicated professionals, please give us a call! We are a family owned business who provide excellent workmanship, honesty, and over 30 years experience in home remodeling including kitchens, bathrooms, and additions. We are a licensed, bonded and insured company based out of Phoenix, Arizona. We are family owned and operated, and we pride ourselves on a professional and satisfactory relationship with our clients. 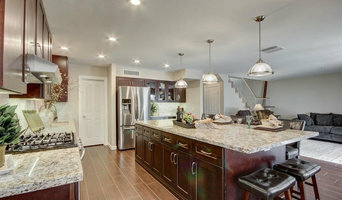 As one of the few nationally certified residential general contractors in Arizona, we can help you with our full service creation of new kitchens, bathrooms, home additions and more. Contact us today! 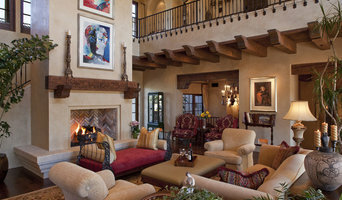 CSI is a comprehensive general contracting firm servicing the greater Scottsdale and Chandler areas in Arizona. We are excited to work with you and help to make your dream home become a reality. Family-owned local contractor with 20+ years experience in kitchen, bath, and full service remodeling. From design to implementation, put our experience to work for you on your next project! If you're on the brink of a large home improvement project, remodel, or new build, you'll likely want to hire a general contractor in Queen Creek, AZ. These professionals manage all aspects of the job to ensure it's completed on schedule and to your satisfaction. Whether you’re trying to find Queen Creek building contractors for a new construction, or home improvement contractors to spruce up your existing place, it’s important know exactly what role they will play in the project. Read more below for a list of must-ask questions. General, or construction contractors, are often known as project managers. They oversee the entire remodeling or new home construction project and facilitate all day-to-day tasks that move it toward completion. A Queen Creek general building contractor will work with your architect to review plan as you build a house and ensure everything is in place before work is started as well as arrange for permits and necessary inspections. While good local home improvement contractors in Queen Creek will have the skills to handle certain tasks onsite, such as carpentry, he or she is also responsible for hiring subcontractors for the majority of jobs, such as electrical work, painting or plumbing. In addition, the general contractor should be on-site regularly to inspect the progress and resolve issues. Here are some related professionals and vendors to complement the work of general contractors: Architects & Building Designers, Interior Designers & Decorators, Landscape Architects & Landscape Designers, Kitchen & Bath Designers, Specialty Contractors. Home remodeling contractors are a must for successful completion of a renovation. Because of this, it's essential that you do your homework before deciding on the right general contractor in Queen Creek as you remodel or build a house. Inspect bids carefully. Was it ready when the contractor promised it? Was the bid for building a home unusually high or low? Each of these things can be very telling: A late bid may reflect timing standards, and an off-the-mark bid could be code for a pricey premium or a deliberate underbid to score the remodeling job. You should call references, carefully read reviews and visit completed projects in Queen Creek, AZ to see if they’re what you expect for your job. Once you do secure your local Queen Creek contractors, read the contract very carefully to be sure everyone is on the same page. 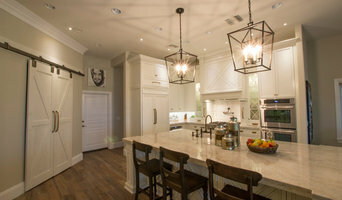 Find a Queen Creek contractor on Houzz. 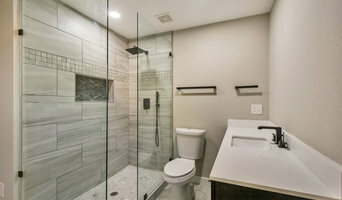 Narrow your search in the Professionals section of the website to Queen Creek, AZ home contractors. You can also search for photos in Queen Creek, AZ and contact the Queen Creek general contractor who worked on the project.